Just 2 miles from downtown historic Churchhill, Shockoe Bottom and MCV/VCU. 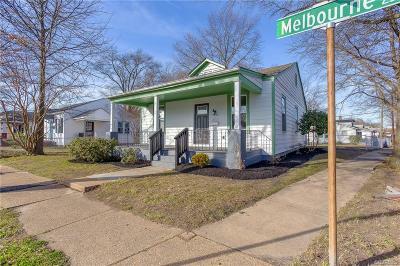 Renovated cottage/bunaglow with new roof, HVAC, plumbing, electrical wiring, insulation, fresh dry wall, designer paint and laminate floors. Open concept kitchen, living/dinning room with a pantry and utility room. Original 99 year old trim preserved in most of the house, modern features mixed with in with the original charm of the home. Middle School: Martin Luther King Jr. Directions: I 64 East To Mechanicsville Tnpk Into Rva, Right Onto Melbourne St To 2512 On The Right.